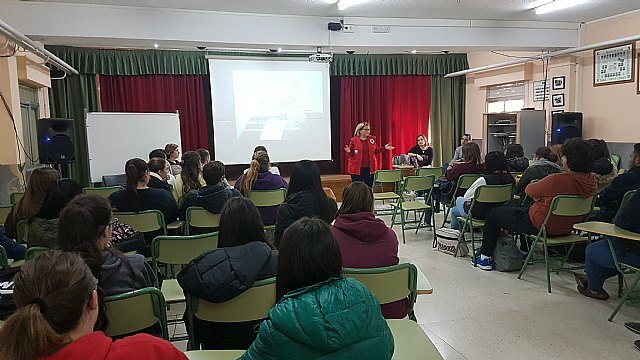 Totana.net - Red Cross Totana gave talks on volunteering at IES "Prado Mayor"
Red Cross Totana gave talks on volunteering at IES "Prado Mayor"
On December 4, the Local Assembly of Totana of the Spanish Red Cross gave talks about volunteering to the students of 17 and 18 years of the Prado Mayor Institute in the assembly hall of the Institute itself. 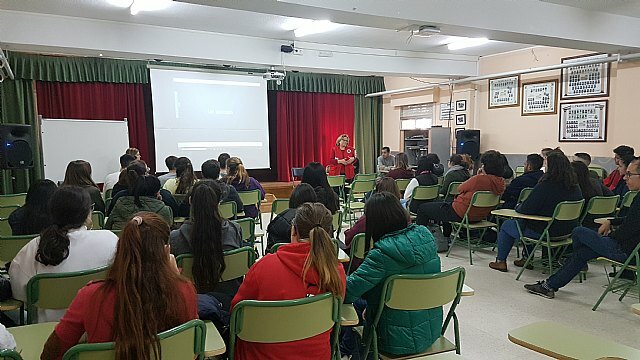 These talks are framed in the program that Red Cross has launched in Totana called "Values â€‹â€‹I sell that for me I DO" and that is to make young totaneros know the importance of living in the first person some of the values that they champion the volunteer of the Red Cross, as solidarity, generosity, teamwork and coexistence. 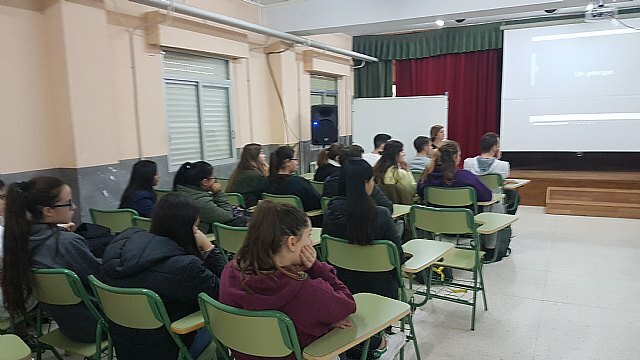 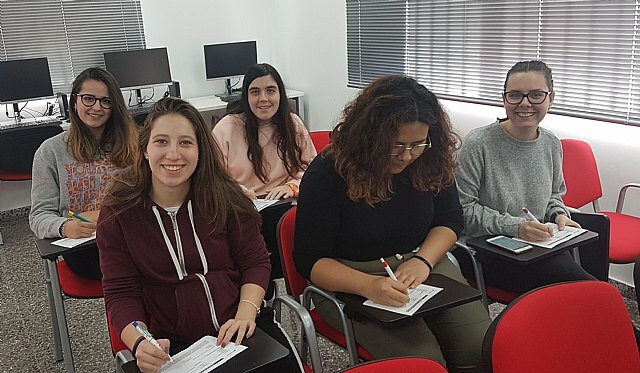 At the end of the talks, the students were invited to join the volunteer service, since the volunteers are a fundamental element for all the Social Intervention projects that this institution has planned to develop in Totana during the next year 2019. 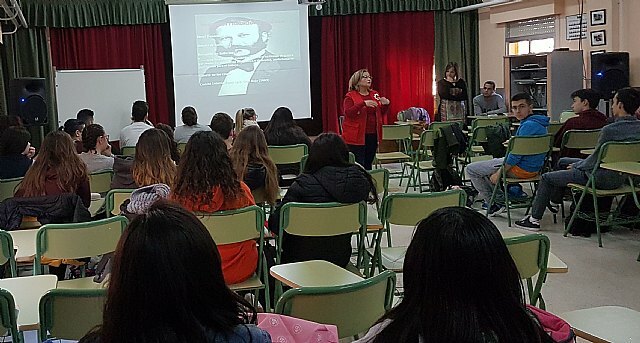 The act that had a very good reception and participation by the students and is scheduled to be repeated next December 19 at the Juan de la Cierva Institute.